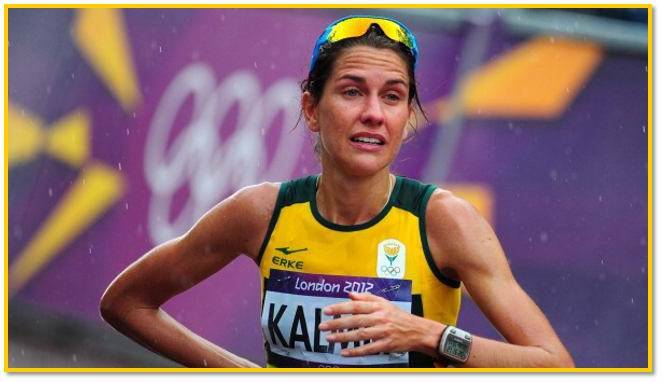 Rene Kalmer ventured to the Beijing Olympics to compete in the 1500 metres and complete a dream of competing in the Olympic Games. 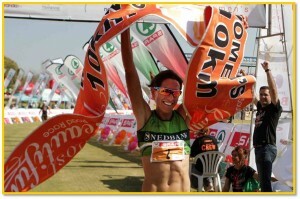 In 2012 she was part of a South African trio to compete in the Marathon. 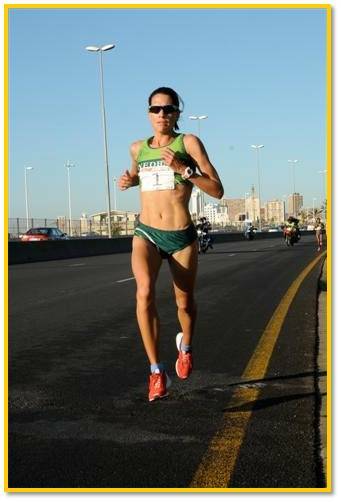 Going in as the fourth fastest in South African Marathon runner of all time, she acquitted herself incredibly well and finished a very satisfying 35th out of 112 runners. We chatted to the superstar runner when she got back from London before winning the Soweto Marathon and she shared her thoughts with us! All Things Jabu (ATJ): Hi Rene, thanks for the chance to chat. What have you been busy with since the Olympics? Rene Kalmer (RK): I enjoyed a two week rest after the Olympics. I’ve been crazy busy catching up with friends and sharing my Olympic experience. ATJ: Well, thank you for sharing with us too! Having competed in the Beijing games and the London Games, which of the two show piece events did you feel was best? RK: It is difficult to compare, at the Beijing Games I did the 1500m and in London the marathon. It was amazing to run the marathon in the streets of London, with packed crowds in pouring rain. ATJ: As you have just said, in Beijing you competed in the 1500m, in London you competed in the Marathon, what brought around the change in your disciplines? RK: I’ve been running 1500m for 15 years and I felt like it was time for a new challenge. Because of my love for road running, the marathon was the obvious choice. ATJ: Wow, that’s a pretty incredible achievement! What has been the highlight of your career so far? ATJ: Will you be planning to compete at Rio in 2016? ATJ: Having run in various middle distances, which is your favourite distance to run? RK: In my heart I will always be a track runner, but at the moment I’m enjoying 10km and 21km races as you can only race 2 marathons a year. ATJ: Your younger sister is also a runner, do you train together and is there a healthy competition between the two of you? RK: Christine and I are very close. We train together every morning before she goes to work and in the afternoons as well. ATJ: That’s awesome stuff! How much time do you spend training in a week? ATJ: Who do you think is the best runner in the world? ATJ: Getting to race in massive different countries as well as cities around South Africa, which is your favourite race in the Calendar? 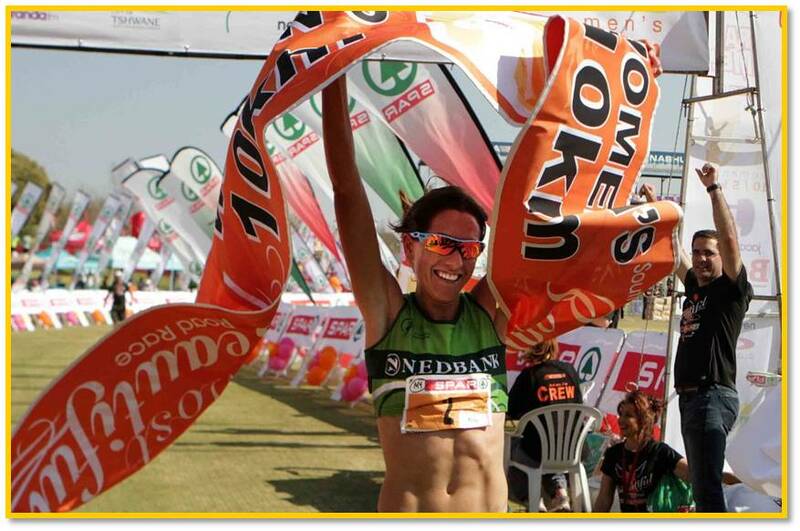 ATJ: As a full time athlete, which sponsors help you to fulfill the dream? RK: I’m the brand ambassador for Nedbank and I’m grateful for the opportunity they give me to follow my dreams. Adidas and Oakley are also loyal sponsors. ATJ: Do you have a role model in running? ATJ: Are you a fan of other sports, if yes, could you please tell us which teams you support? ATJ: Is there another SA Runner that you think will be able to challenge for a place in Rio 2016? 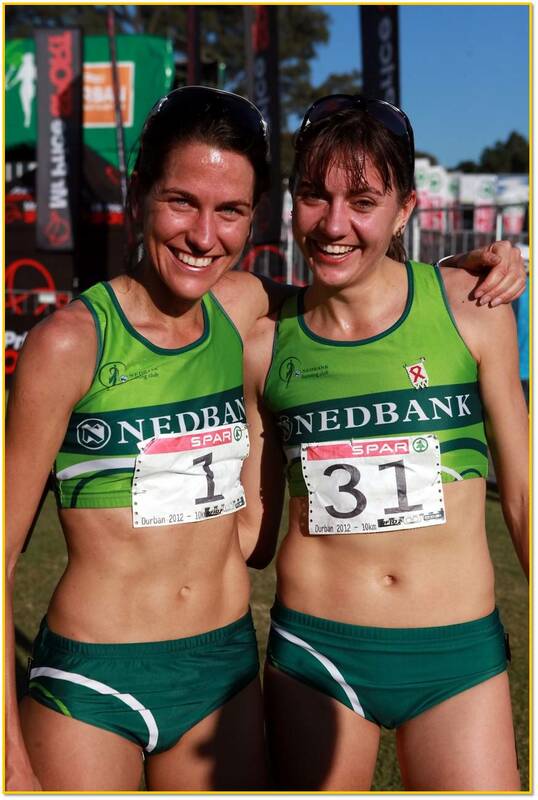 RK: It will be awesome if my friend and training partner Irvette van Blerk can make the Olympic team again as well as my sister Christine. ATJ: If you could achieve one thing in running still what would it be? ATJ: Thanks so much for your time! Good luck for the rest of the season and may all your dreams be achieved!